Grinding and polishers: Grinder’s remains to topmost in the list while using the person need to choose a perfect RPM and weight grinders to have better polishing. They are available in various sizes depending on the polishing area, and people can choose a suitable size. Among all higher RPM grinder or diamond grinder, it is a better choosing a perfect cutting and polishing tool. 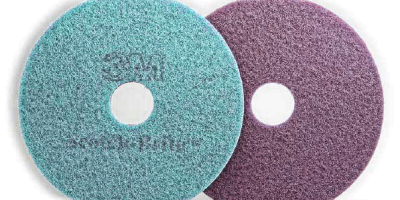 Diamond tools for grinding and polishing: Once the cutting is finished the concrete floor should be polished with concrete polishing pads. Mostly two kinds of pads tools are used where metal bond tools for grinding & hard polishing and resin tools used for polishing concrete surfaces. Industrial floor vacuum: Once the polish is evolved dry grinding and polishing system which produce lots of dust which is more hazardous for health. So it is more important to have a good quality of industrial floor vacuum to clean all dust and leave the fragments in the surface. Hardening and compacting agents: Most of the concrete polishing surfaces use agents to make hard and denser concretes. This is mainly done to make concrete hard with the help of tools for polished concrete. The compacting agent helps to have a dense or thick concrete surface which makes the concrete surface water resistant, stain resistant and makes shine for the long time scale. Usage of coloring agents, dyes and stains: In previous days people always left with plain light polished floors as a single option, but in present modern decor people can make their desired colored polished flooring. In order to get a desired colored flooring one should use dyes and stains of the desired choice. To get color polishing concrete dyes and stains are mixed with a final mixture of concrete, or even people can mix glass beads, integral color or color aggregate and metal pieces to make aesthetic beauty. All the above process sounds to be difficult when they are processed in alone but once the polishing is done it increases the facility value and reduces the future investments.